These are great for stretching the time between major details. I use mine a few times a week, just before I leave the house, to keep my car looking freshly detailed. People ask me all the time if I just finished waxing. There’s no need to tell them that I spent three minutes rather than three hours on the car! Spray and wipe to detail under the hood, door jambs, trunk decks, bumpers, and glass! Detailing sprays literally can be used on the entire exterior for an instant gloss. Keep it in your glove compartment to use anytime you want to restore the just-waxed finished. You don't have to sacrifice shine in the name of quick application. 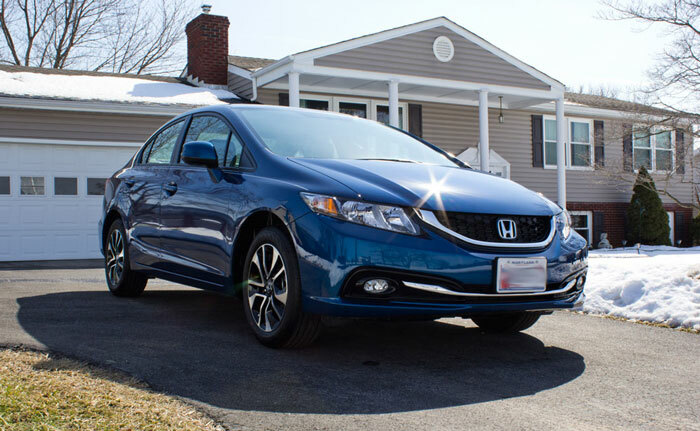 Check out the paint on this bright blue Honda Civic after being coated with Pinnacle Souveran Liquid Spray Wax - a carnauba-intensive spray wax that adds a sizzling, 3-dimensional shine. Thanks to Scott @ Incredibly Detailed in Maryland for applying the wax and submitting the photo! Dodo Juice Basics of Bling Detailing Spray 500 ml. Sonus Acrylic Spritz Quick Detail Spray 16.9 oz. Sonus Carnauba Spritz Quick Detailer 16.9 oz. Poorboy's World Bird Sh#t Remover 16 oz. Poorboy's World Quick Detailer PLUS QD+ 16 oz. Poorboy's World Spray & Gloss 16 oz.